Public House Management’s grow bar operations manager, Kurtis Bosley. You may know Kurtis Bosley from such Instagram accounts as @cocktailsbykurtis, from any number of television appearances, or from behind the bar at Bar Moncur in Sydney (you may have also seen him on the cover of this very magazine last month). But Bosley is more than a multimedia personality. 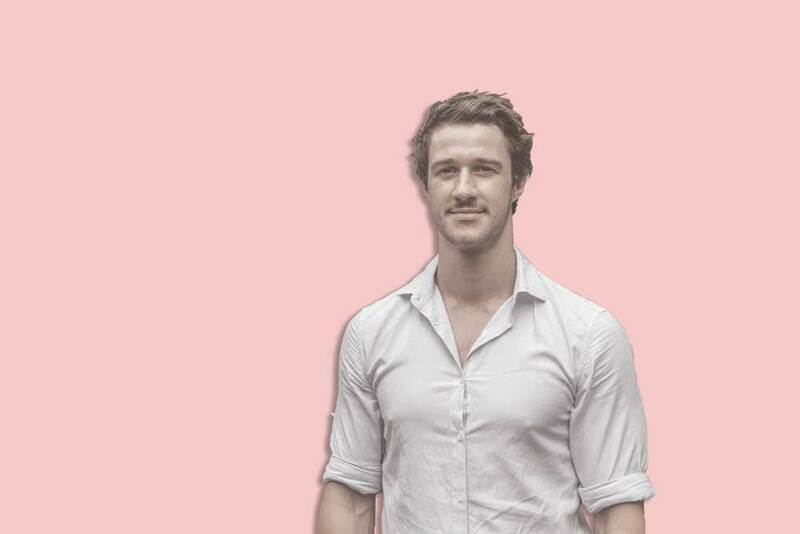 He’s the guy responsible for the bars for the Public House Management group in Sydney, whose stable of venues includes the Four in Hand, Bistro Moncur, the Woollahra Hotel and more. He’s got eight seasonal cocktail menus to keep an eye on across the group, and is also responsible for the training and development of some 150 bartenders under his charge, so, you know, the guy has plenty of work to do. It’s a good thing then that he’s good at what he does. We’re taking a look at his list for Bar Moncur this month, because we love French spirits and wines and Bosley’s list takes them as its inspiration. The list also takes into account the restaurant side of things, so that it complements the food; the end result is that there’s some great drinking to be had. We asked Bosley a few questions about how the list is structured and how it all came together. 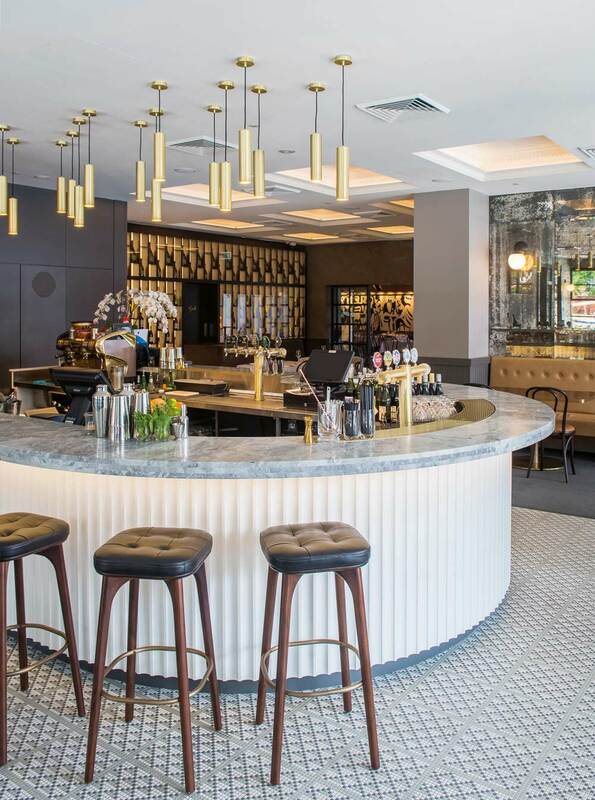 Bar Moncur in Woollahra, Sydney, Australia. Photo: Dominic Loneragan. Walk us through the Boissons Aux Poire (Poire William EDV, Spiced Fino Sherry, French Bistro Bitters, Sydney Cider). Poire William Eau de Vie is an ingredient you don’t often see. And what’s the go with the spiced fino? The drink’s one of my favourites on the list, translating roughly to ‘Pear Drink’ (I know right — Frenchies read it and usually have a laugh). Poire William EDV is a staple in many French restaurants so I was confident listing it as a base spirit in the drink as something different but well known. The spiced fino worked a treat as the Poire-William I used is relatively sweet, this helped balance that and as we know pears love a bit of spice, so I sous-vide the fino sherry with cinnamon, pink peppercorns, nutmeg and vanilla. How much prep goes into the menu, and how do you structure your prep? The prep is very much dependent on the previous night’s trade, with par levels checked daily and the more time-consuming tasks being prioritised first to ensure we have all ingredients ready for service. We have a few really good bartenders in the space who take ownership over this but I still like coming down to the kitchen and annoying the chefs with questions when I know prep is being done — a lot of workshopping drink concepts and ideas happens during this time. Which drinks are the best sellers on the list? Why do you think that is? The VS Espresso Martini and Rombanse take a good chunk of the weekly sales mix. I think they’re both really approachable with ingredients that our guests are comfortable ordering. I’m sure there’s something to be said about the science of them both being listed at the top of the menu, but that’s for someone else to explain. Which signature drink is your favourite on the list, and why? Can you walk us through how you came up with the drink? La Belle is great. Armagnac is an all time favourite spirit for me so making a drink out of it was a no-brainer. The idea was always there but it wasn’t until I had a mixed plate of nibbles over a few armagnacs that it properly came together, with key tasting notes of chocolate, orange, rhubarb and vanilla. Simple, but damn tasty. What do you like about mixing with French spirits? In Australia we place a huge emphasis on the locality of spirits and ingredients (for bloody good reason too) but with French spirits I get to explore liquids that aren’t being used as commonly. The VS Espresso Martini is made with cognac, how do people react to that? A staple on the menu for good reason! The cognac works damn well with coffee and vanilla — cue the ‘match made in heaven’ quote. We do also offer a classic Espresso Martini but that only represents a small percentage of the sales.